BK08516.7 is an heirloom variety originally from Cusco, Peru. Collected by Ben Kamm of Sacred Succulents; variety names that begin with BK are his collection numbers. BK08516.7 flavor is very similar to potato, lacking either tartness or sweetness. Cooked consistency is soft. This variety retains much of its color when cooked. BK08516.7 plants are moderate in size and remain fairly compact at maturity. 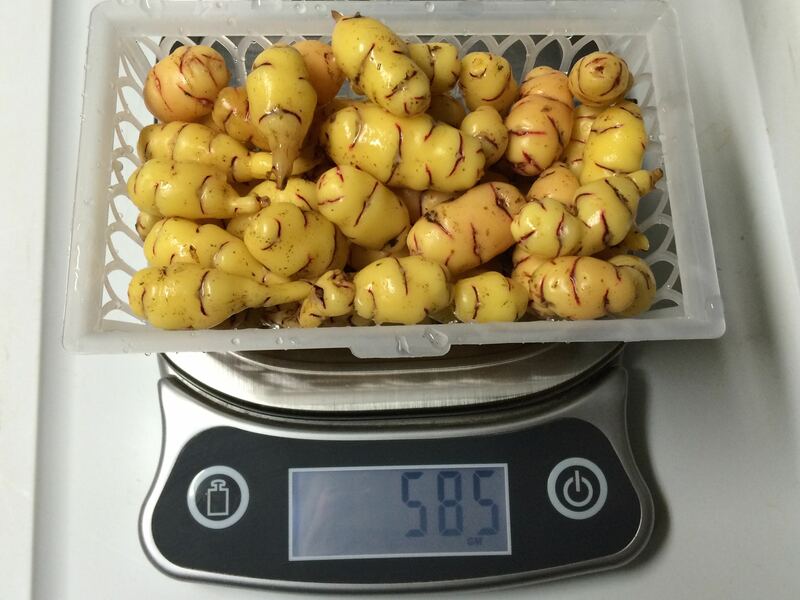 Tubers are produced on stolons of intermediate length and tubers are generally uniform. Tuberization photoperiod is about 12 hours, the same as most heirloom varieties. Average yield is 1.1 pounds. The maximum tuber length is 4.8 inches and the average tuber length is 1.8 inches. Average tuber count is 18. 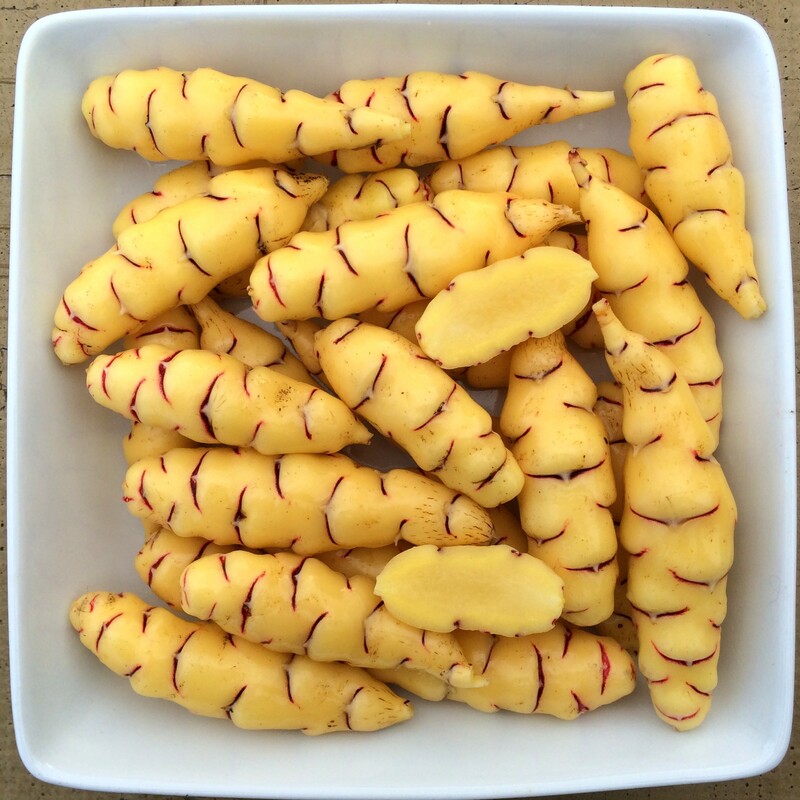 This variety produces about twice as many small tubers as large. BK08516.7 is a relatively poor flowerer with a short styled flower, flowering here in July and August.